Dr. Fletcher is a board-certified anatomic/clinical pathologist and certified physician executive with significant experience in leading quality across an organization and reducing clinical variation to effectively drive safety and value. Prior to ARUP, he was instrumental in developing a utilization management program that captured over $1 million in cost savings within the first year and significantly improved downstream metrics driving utilization in various areas, including pharmacy, radiology, length of stay, and sepsis mortality. 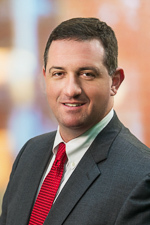 Dr. Fletcher earned his MD from the Mercer University School of Medicine in Georgia and his MBA from the University of Massachusetts at Amherst. He completed a surgery internship at the Geisinger Medical System in Pennsylvania, as well as a residency in anatomic and clinical pathology and a cytopathology fellowship at the University of Florida in Gainesville. Dr. Fletcher has received numerous awards for quality and utilization, including research grants for blood utilization.